What do you do when you had a birthday bash so big that will likely never be repeated? Relive it again the next year! SiriusXM and Howard Stern have announced that "The Howard Stern Birthday Bash: Director's Cut" special will air on Howard 100 this Friday, December 19th. The original bash was held in January of 2014 and featured a robust guest list, performances, and drama. The bash supplied plenty of content, discussion, and fodder throughout the year. 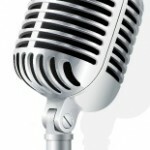 This Friday, Stern fans will get to hear the top-level comedians, musicians, celebrities and Howard Stern characters once again. "The Howard Stern Birthday Bash: Director's Cut" special will feature commentary and behind the scenes stories from many of those performers and celebrities including Robert Downey Jr, Dave Grohl, Joan Rivers, Jimmy Kimmel, Adam Levine, Tracy Morgan, Jenny McCarthy, Sarah Silverman and more. The special will also feature an in depth look into the production of the Birthday Bash, from the initial idea, to the rehearsal, to the star studded after party and reflection immediately after the Birthday Bash. "The Howard Stern Birthday Bash: Director's Cut" will be paired with concerts from Howard Stern's Birthday Bash guests, The Black Keys, recorded live in Houston, TX, Foo Fighters from New York City and Train from San Francisco. 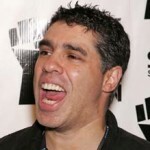 Essentially fans get a bit of a holiday surprise from SiriusXM and Stern. 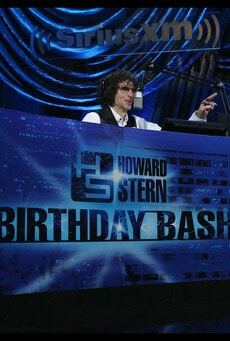 "Howard Stern's Birthday Bash," the live four-hour radio event, was broadcast on both of Howard Stern's exclusive SiriusXM channels, Howard 100 and Howard 101, on January 31, 2014, from New York City's Hammerstein Ballroom. The broadcast was hosted by Jimmy Kimmel and attracted a top-level lineup of celebrities, stars, and performers for a truly unique night of live comedy, music and entertainment. The celebration featured live music performances by Rob Zombie, The Black Keys, John Mayer, Jon Bon Jovi, Adam Levine, Train, Jewel, John Fogerty, Dave Grohl, Steven Tyler and Slash; a rare sit-down interview with David Letterman; appearances by George Takei, Jeff Probst, Joan Rivers, Jeffrey Ross, Kathy Griffin, Governor Chris Christie, Louis C.K., Katie Couric, Whoopi Goldberg, Bryan Cranston, Jimmy Fallon, Seth Meyers, Fred Armisen, Lena Dunham, Sarah Silverman and Natalie Maines, Rosie O'Donnell, John Stamos, Maria Menounos, Heidi Klum and Johnny Knoxville, and an audience of Howard Stern fans ranging from Robert Downey Jr. and Barbara Walters to Howard Stern's "Wack Pack" members.